With Halloween around the corner and remasters that were released a few weeks ago, now felt like the right time to take a look at one of last generations strangest franchises, Dead Rising. With Halloween around the corner and remasters that were released a few weeks ago, now felt like the right time to take a look at one of last generations strangest franchises, Dead Rising. Released during the height of zombie popularity, the original Dead Rising was the first game to get me excited about HD gaming with its impossibly huge zombie hoards. So the question now is, how does it hold up ten years later? There are a lot of things about Dead Rising that shouldn’t work, the controls are abysmal, the boss fights are terrible, and the time system that forces you to start the game over when you die has been a constant source of contention to this day. All of these things should have a resulted in a terrible game, but in fact, Capcom seemed to stumble on something special by mashing all these elements into something unique that not even its sequels could ultimately emulate. 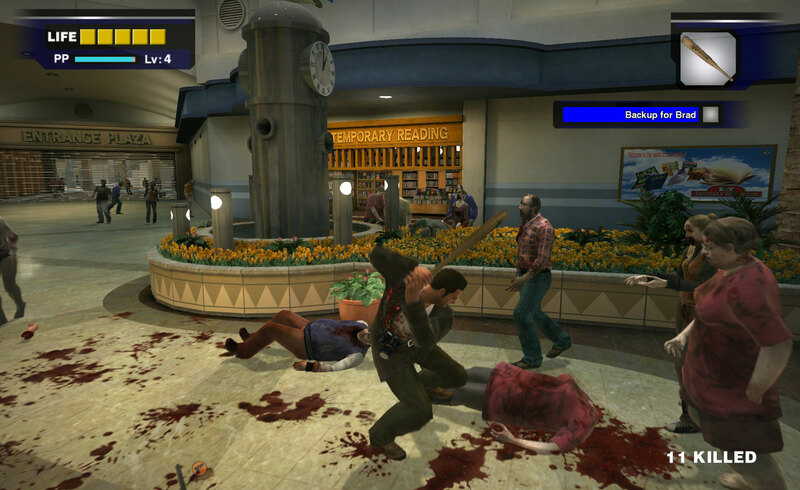 The key to Dead Rising’s success is the environment of the Willamette Mall. Set in a fictional Colorado town, the mall feels like a real place that could exist somewhere in the real world filled with stores that each have their own unique personality. Learning the how to navigate the mall is one of the best parts of playing the original Dead Rising. Boss fights are mostly terrible with few exceptions, but the actual circumstances surrounding each bosses story are kind of fascinating, each psychopath was created by hyper-exaggerating what their role was pre-zombie apocalypse leading to overly defensive security guards and very angry party clowns. In a very Romero-esque way, Dead Rising was doing the whole “zombies aren’t the real monsters” thing years before The Walking Dead hit tv. The thing about Dead Rising that really worked for me was the fact that it managed to be tense without being scary and it accomplished this by using its strengths and weaknesses in ways that few games do. 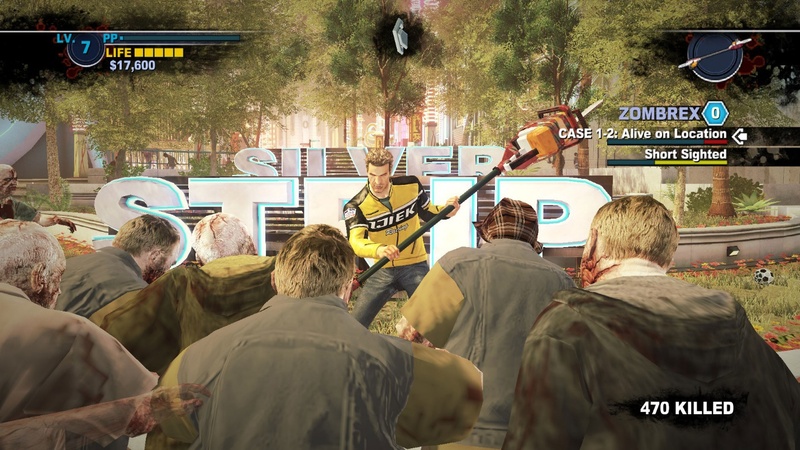 Consider escorting survivors, in most games like this the survivors would be at least slightly capable of defending themselves but it Dead Rising they can get trapped and stuck in the silliest ways unless you guide them along the whole way. The fact that the A.I. is so terrible may sound like a bad thing but think about the crazy moments that end up happening because they were basically inept. I know I would find myself guiding 5 or 6 people at a time only to need to rush back through a crowd of zombies to rescue the one person who didn’t understand how stairs work, I’d get back and then a boss fight would start forcing me to try and get as many people out before they were mowed down. Perhaps not by design, the survivors would constantly force these tense situations on players. Dead Rising 2 was developed by a new developer who kept the core gameplay intact with some minor usability adjustments but a dramatic shift in tone that led to a more bizarre, goofy sequel. The addition of a crafting system adds to the craziness by allowing players make dozens of over the top weapons like the padddlesaw. The story and bosses this time around took a turn toward being weird, and the environment took on a distinct Las Vegas inspired feel. Fortune City felt much less like a real place but was still a ton of fun to run though and with improved controls and bigger zombie hoards. And then, of course, there’s the addition of co-op a brilliant decision that feels like it should have always been there. 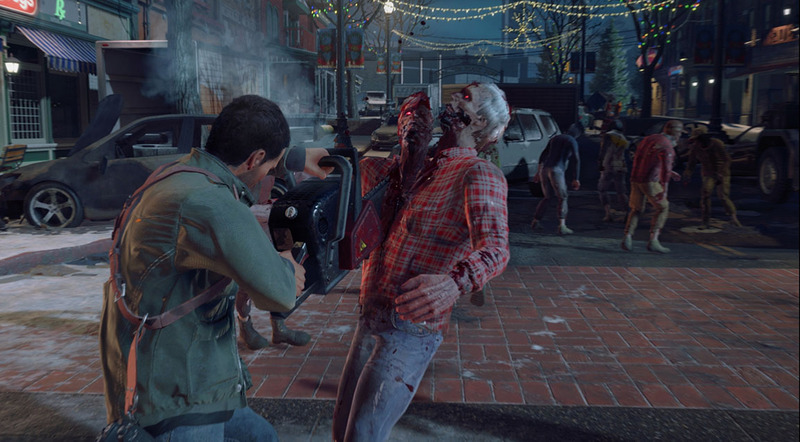 Dead Rising three was all about optimization. In Dead Rising 2, players were forced to craft at workbenches, but in 3, crafting could be done anywhere. Things like saving were made more forgiving, and it was possible to remove the timing system. Tonally the game went a little darker than previous game but made it even easier for the player to create their own wacky situations. The city of Los Perdidos is the setting in for the third entry in the series, and it’s significantly bigger than previous environments which lead to some difficult navigation problems, but you can craft vehicles now that help to mow down the thousands of zombies in your way. And that brings us to the upcoming Dead Rising 4 which looks like a mix of elements from all of the previous three games. The Willamette Mall is back, this time with the surrounding area and lots of crazy new tools for killing zombies. 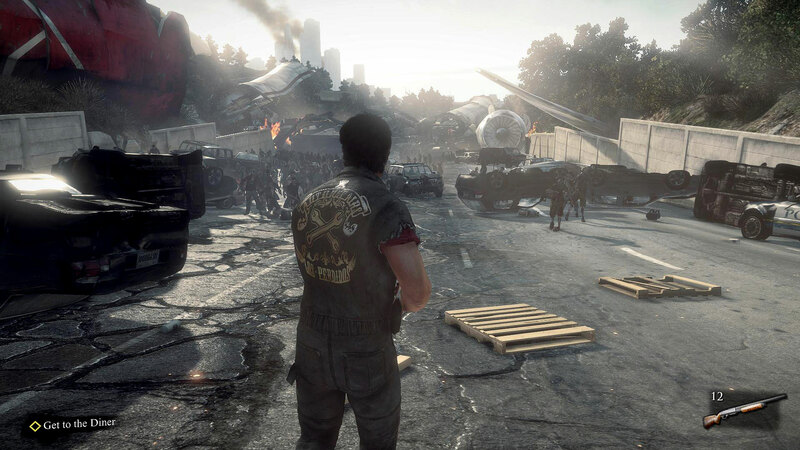 It looks like another steady improvement on the gameplay of the previous game which is a good thing in an era where mainstream zombie games are becoming increasingly rare; it’s good to know that Dead Rising is still going strong.